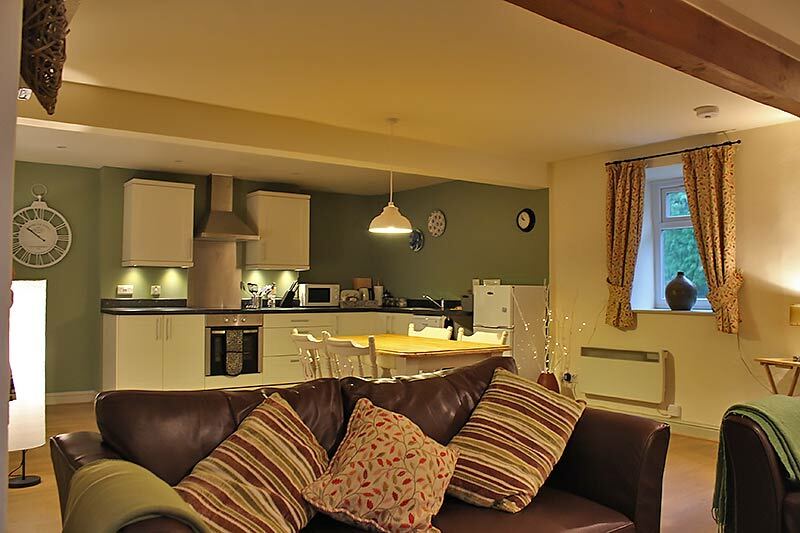 Holiday Cottage in Betws-y-Coed, Snowdonia - Ty Newydd. Parking and WiFi. 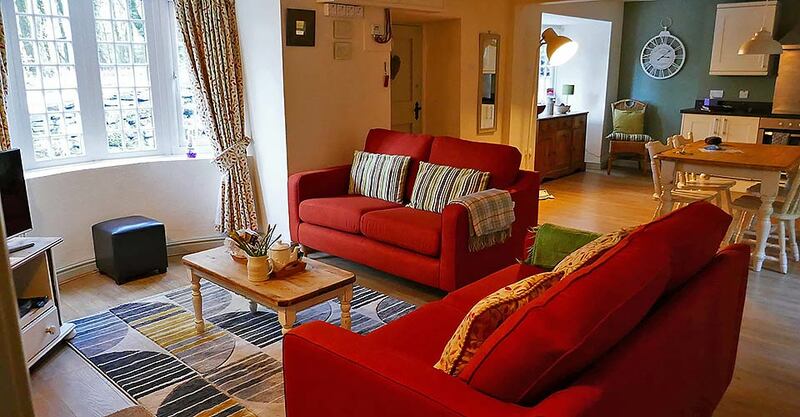 This self catering holiday cottage is conveniently located just outside the village of Betws-y-Coed in the Snowdonia National Park. 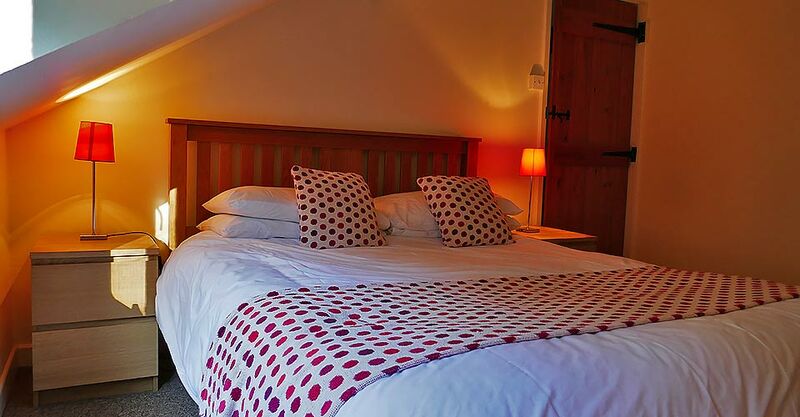 The cottage sleeps 4 people with 1 kingsize bedroom and 1 twin bedroom. 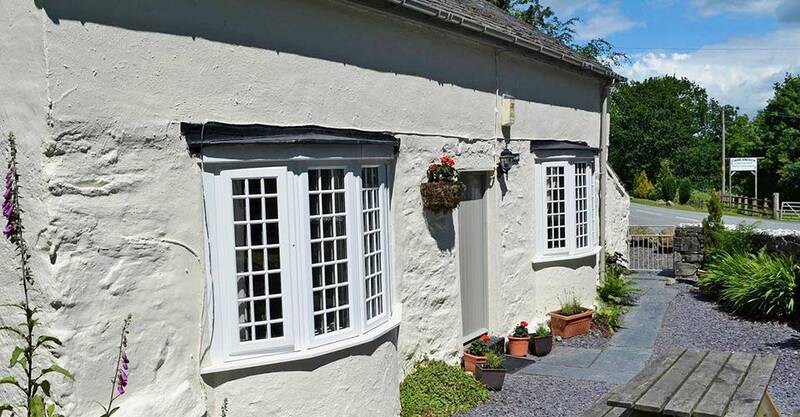 This 17th century cottage enjoys a wonderful woodland setting, yet is close to the many amenities of Betws-y-Coed which is a pleasant 15 minute forest track walk or a few minutes by car. 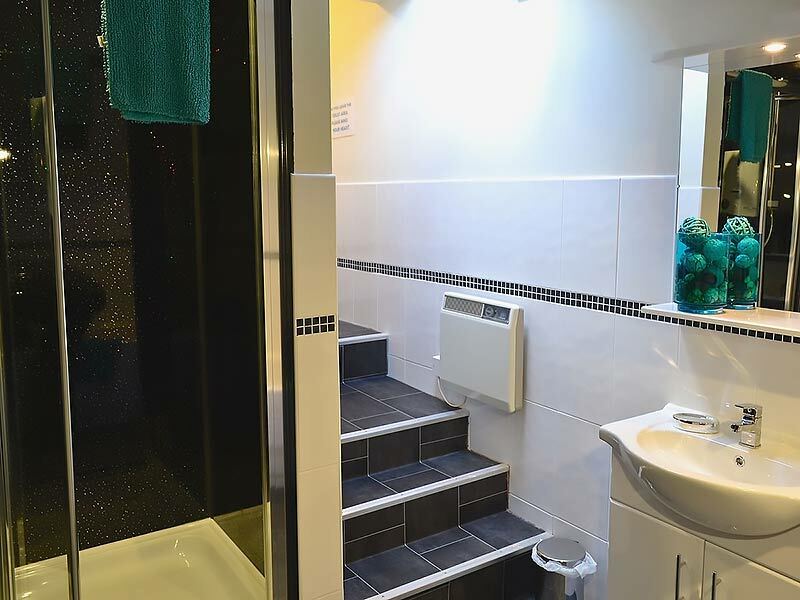 Downstairs there is a new open plan kitchen, dining and living space with beam and wood burner, a utility room, and a recently fitted contemporary style bathroom with separate shower and bath. 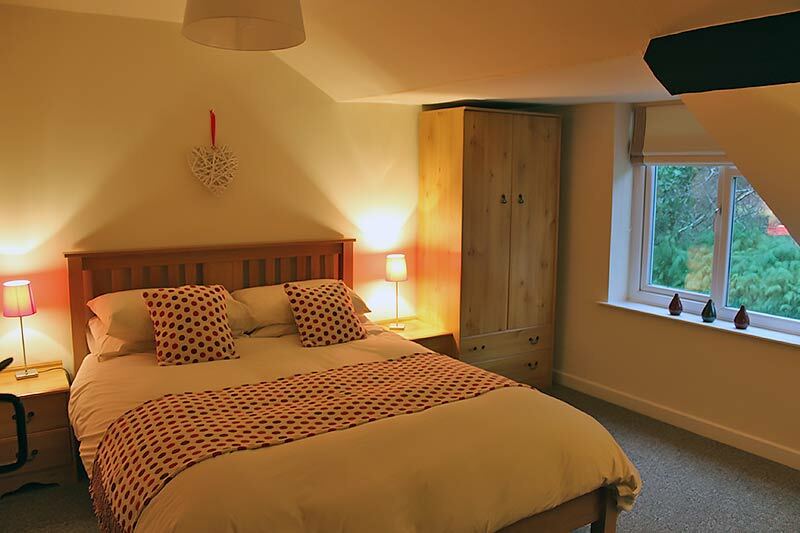 Upstairs there is a double bedroom with 5ft kingsize bed, and a twin bedroom. 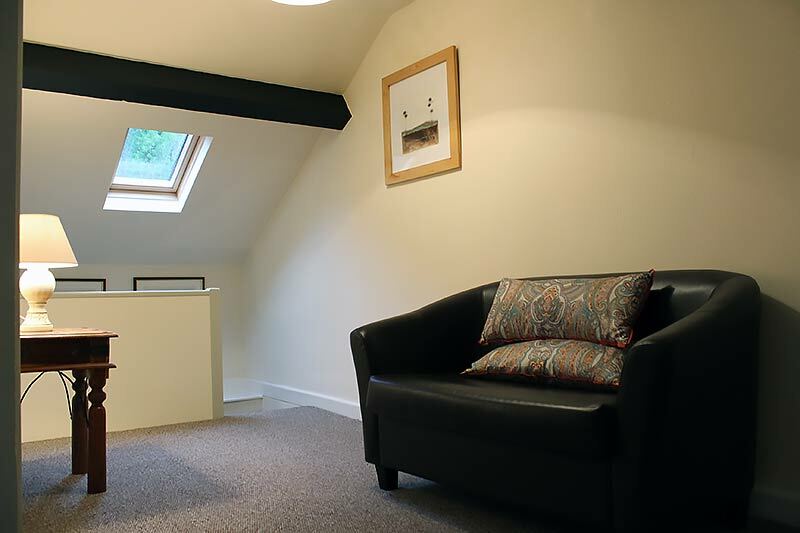 Free Wi-Fi is available in the cottage for internet acces on your laptop, tablet or phone. There is a smart TV in the lounge with Freeview and Netflix so there is plenty to keep you entertained in the evening. There is a garden with outdoor furniture for sitting out in the fresh forest air, and ample parking for 2 cars. 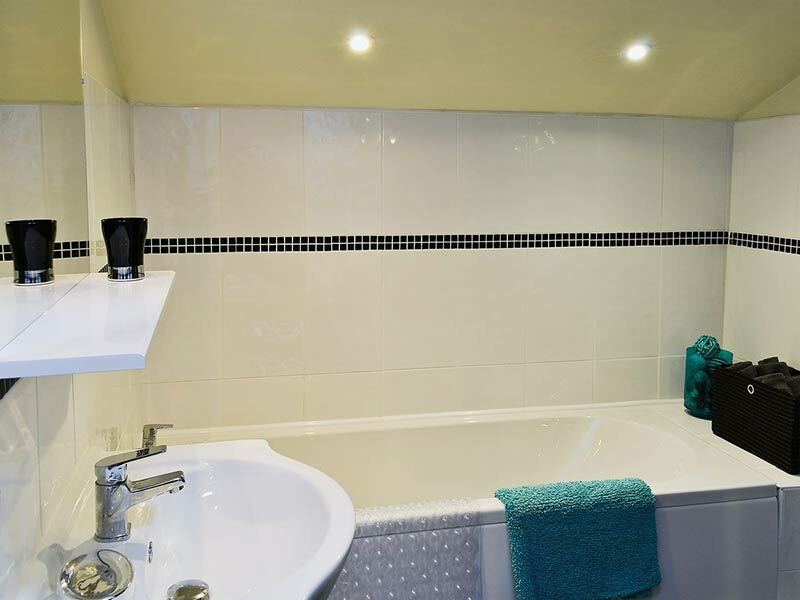 All weekly bookings start on a Friday from 3pm and the cottage must be vacated by 10am the following Friday. Electricity is included. An initial basket of logs is included for the wood burner and logs are available to purchase. There is a natural water supply from a spring. Up to 2 well behaved dogs are allowed in the cottage. Dogs are not allowed upstairs, into bedrooms, or on any soft furnishings downstairs. Short breaks are available out of season - see our availablity page for short break dates and full availability and pricing information. 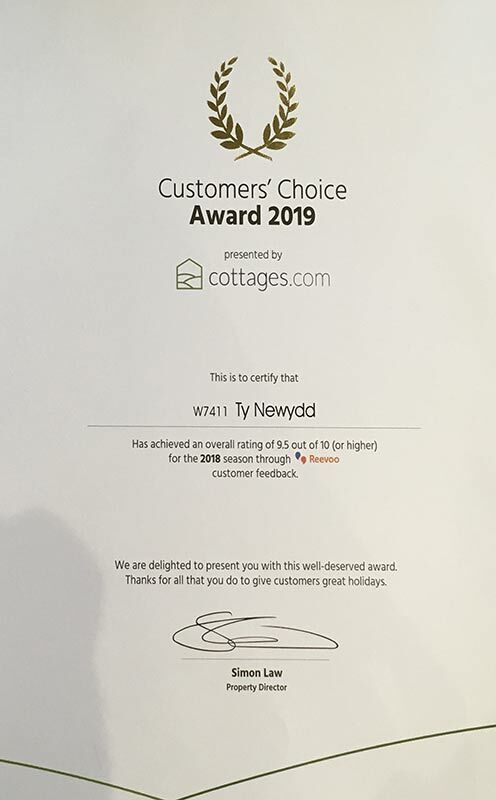 Ty Newydd offers self catering accommodation that is ideally placed for exploring Betws-y-Coed and the surrounding area. 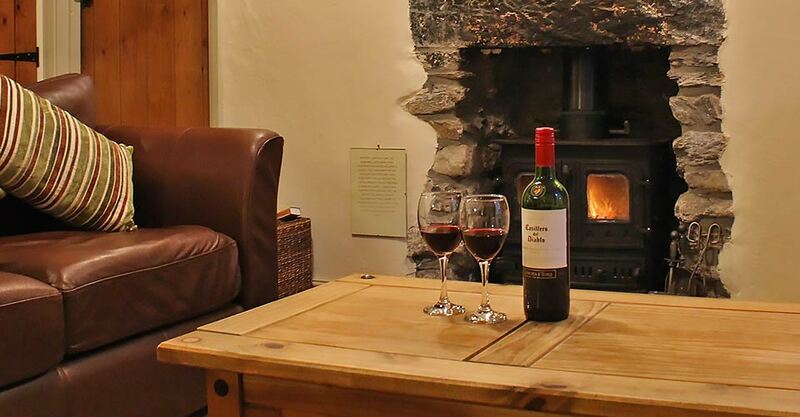 Find out more about things to do in Snowdonia and North Wales from the cottage.
" Great cottage, has everything you need. 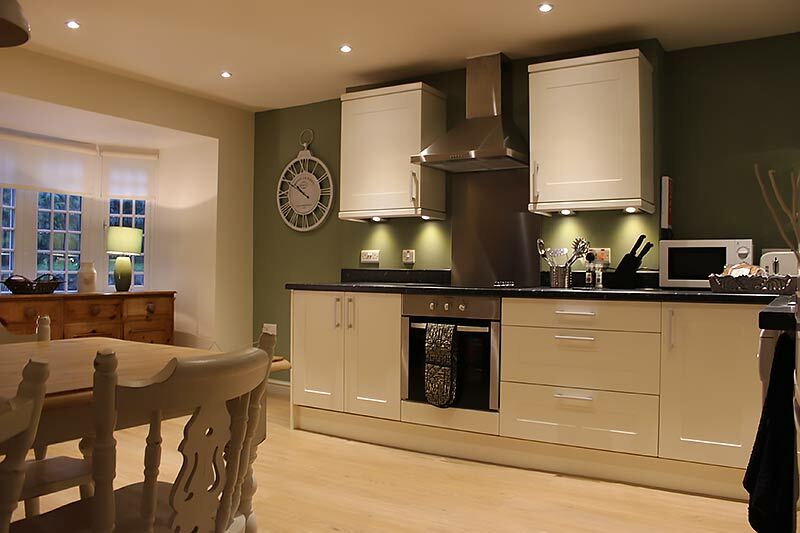 Comfy beds, well equipped kitchen. Netflix an added bonus! We would highly recommend, especially the location. " 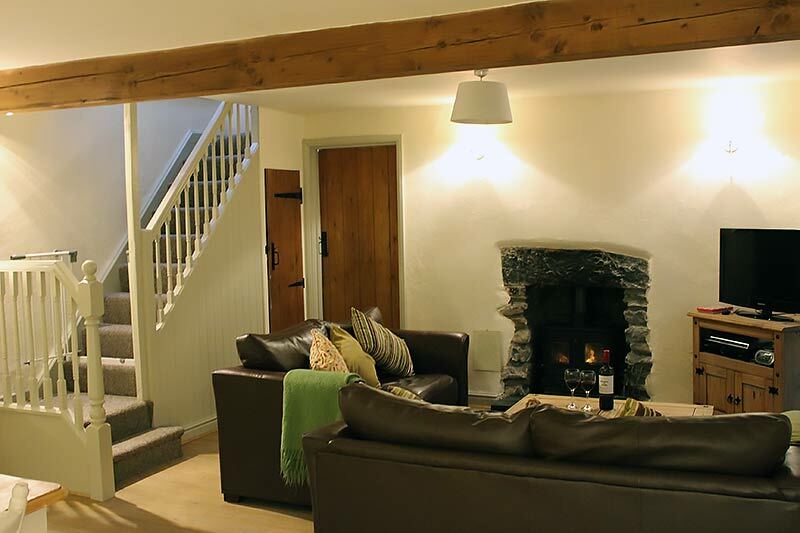 " Fantastic stay once again for our 5th visit to this cottage! Great changes made which made what was a great base for our adventures even better! We will be back for a 6th time for sure! " " We have had a fantastic time and really don't want to leave tomorrow. 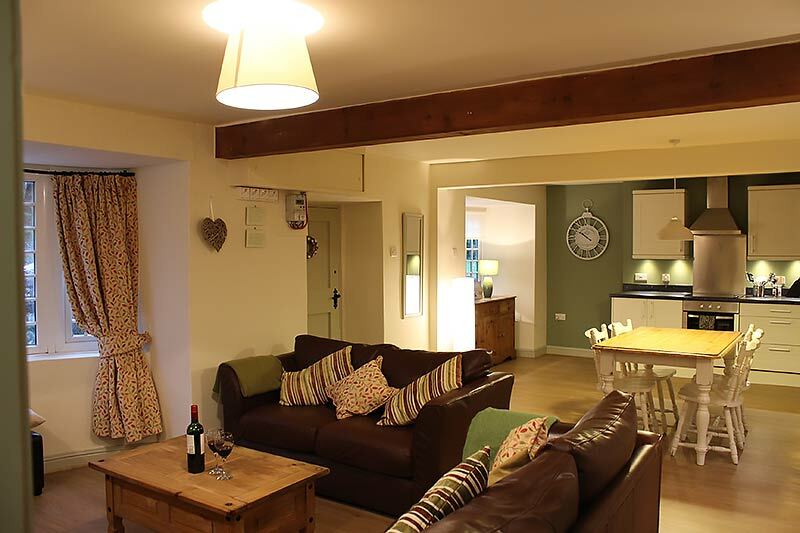 We have already recommended to family and are already thinking about booking this gem of a cottage. We will certainly be back and hopefully soon if not this year!! I cannot thank you enough for you help and prior hospitality. The cottage was immaculate on our arrival. This gets 5 stars all round and I'm not easy to please, honestly thank you. " 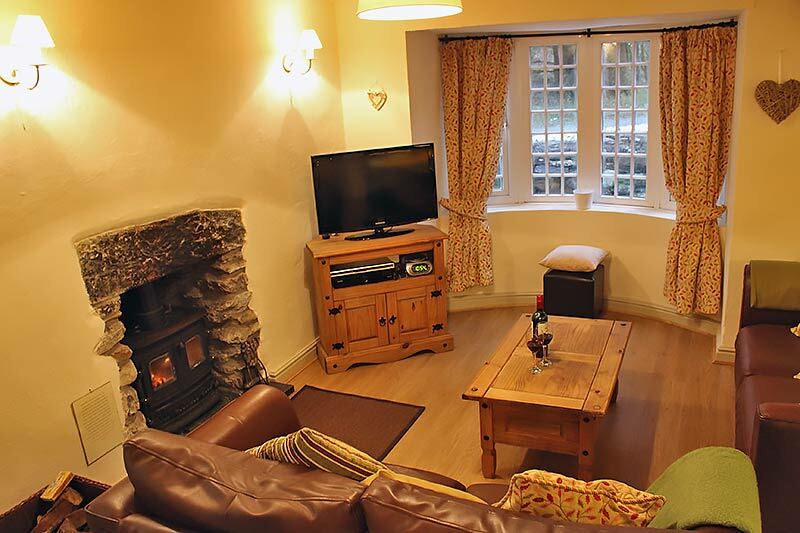 Content is copyright Ty Newydd Holiday Cottage, Betws-y-Coed, Snowdonia, North Wales. Website design by PJ WebWorks.